A San Francisco-based photographer with over 25 years of experience, Dean Birinyi brings a thoughtful approach to every project he shoots. Dean began his career as a portrait photographer, refining his skill set before turning to architecture and interior design for inspiration. At Dean Birinyi Photography, the photographer draws on his background in furniture design and construction to capture the true essence of residential and commercial spaces. Dean’s work has led his clients to receive prestigious design awards and has appeared in numerous shelter magazines. -- What I really enjoy about photographing architecture and interior design is the creative collaboration. The development and sharing of ideas, working with talented artists to create wonderful images that showcase the artistic qualities of a design. That’s what makes getting up and going in to work exciting and rewarding. Sabrina Huang is a San Francisco Bay Area based Architectural, Food and Hospitality Photographer & Motion Videographer. Her persona exudes a YES attitude with resourceful problem solving skills. Sabrina loves traveling, learning new things, and sharing her experiences with others. She has been featured several times in the World Journal Newspaper, the largest Chinese Newspaper in the United States. Her Eichler Homes photographs have been showcased in the Wall Street Journal, on the San Francisco Chronicle blog "SFGate", and on the cover of CA Modern magazine. 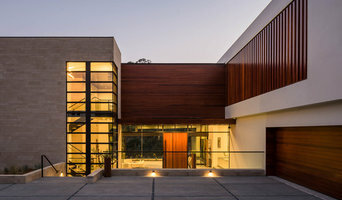 She was named one of Top 7 architecture photographers in San Francisco by architecturaltrend.com. "It's a good feeling when you love what you do and do what you love", she said. Sabrina lives by one of her long time favorite quotes - "A personal who feels appreciated will always do more than what is expected". Below are what CA Modern Magazine's readers wrote to the editor, "I just wanted to write and say as a CA Modern reader and even featured home owner :) I really enjoyed the new photographer Sabrina Huang's work in the latest issue! Sabrina's talent really enhances the magazine and brings it to a new level. She has a great eye and her shots really highlighted the homes and neighborhoods in both features in a more architecturally focused way. Keep up the good work! Cassandra" - - - - - "Thank you for your article “Forgotten by the bay” on Eichler homes in the Winter issue of CA Modern. I liked the photography by Sabrina Huang, an amazing, talented and personable young lady who will do much to contribute to your publications. Sincerely, Dorothy Matsuo"
Professional interior + architectural photography in the SF Bay Area. Specializing in dramatic photography for Architects, Designers, Magazines, Builders and Realtors. Also providing 'Hollywood production-value' to business photos/videos. Best of Houzz Design Photography 2018, 2017, 2016, 2015, 2012 Houzz award winner for Client Satisfaction & Service the past four years. Livingston creates publish perfect photos of interiors and the products within them. Acting as an Art Director, Photographer, and Stylist Livingston creates and delivers publish ready professional photography. Photographer of seven coffee table books of home design, published yearly in national and Regional design magazines, the photographer for home furnishings retailers and manufacturers including RH, Woodmode, Subzero. 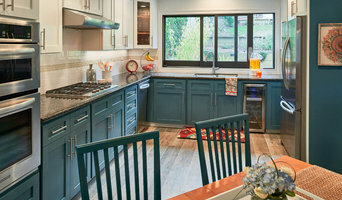 Livingston has deep experience in all areas of home design and photography. Award-winning photographer and journalist, Ramona d'Viola - ilumus photography + marketing, brings over 30 years of photographic experience to each project. With a focus in real estate and architectural photography, and a niche in culinary and fine dining—my editorial work—written and photographic—is featured in shelter, lifestyle, and design publications throughout the West. San Francisco Bay Area photographer specializing in architectural interiors and products in their environment. Who is Chibi Moku? We are the darndest hard workin’ little cinematography duo in the world. One a cinematographer...the other a photographer. When people ask us if we like what we do, we tell them that we can’t even imagine a better job! We travel all over the world (and when in the US, out of our RV) capturing content for architects, interior designers, & out-of-the-box thinkin' property owners. We edit & live off the grid as sustainable as possible. Our love for our little company is only exceeded by our love for each other…so everything we do is done with passion! We don't throw around words like "award winning" or "luxury" or "exclusive". We are none of that. Just 2 crazy kids with cameras tellin' down-to-earth stories of architecture & design. Are we changin' the world?...probably not. But we tell the stories of those who are. Have a cool architecture project with a good "down-to-earth" story? Catch us if we're near! May - June 2017 - Virginia/Florida (no dates available) June 2017 - Texas (no dates available) July - August 2017 - Colorado (no dates available) Sept - Seattle/Portland 2017 Oct - Maine 2017 (no dates available) Nov - Dec 2017 - Arizona (no dates available) Jan 2018 - Mexico City Feb - Apr 2018 - South America Apr - June 2018 - California Services: Videography, Cinematography, Photography, 360 Tours, Video SEO, Web Design, 360 degree virtual tours, Architectural Photography, Interior Photography Photographer, Videographer, Cinematographer Services. Aerial Drone Photography, Architectural Photography, Landscape Photography, Portraiture, Fine Art Photography and Prints. Architectural Photographer. Interiors and Exteriors 20 years experience. If you're thinking of selling or renting your Half Moon Bay, CA house, hiring a home photographer can make a big difference between making money and just breaking even. Think about when you look at photos of homes online: If the lighting is terrible, the quality is poor and the listing provides very few photos, don't you subconsciously associate these bad qualities with the homeowner or renter? A home photographer helps with those challenges. Before you call any potential photographers, make sure they have good references. Friends who've sold or rented homes before are great resources, as are local real estate agents. Look through each California photographer's online portfolio to make sure what you're looking for is being offered. Once you've done that, it's a good idea to walk around your home and write down exactly how many and what types of shots you'll need. Include any specifications you might have, such as angles, things to consider about your home’s Half Moon Bay, CA site, the time of day you think will be best and aspects of your home you want to highlight. Find a home photographer on Houzz. Narrow your search in the Professionals section of the website to Half Moon Bay, CA photographers. You can also look through Half Moon Bay, CA photos by style to find a room you like, then contact the professional who photographed it.